The Gold Delta SkyMiles® Credit Card is offering 50,000 SkyMiles and a $50 statement credit after spending $1,000 in the first three months. 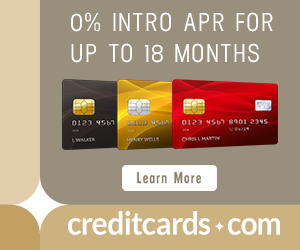 Business owners can get the same offer on the business version of the card. I value Delta miles at around 1.2 cents each. Delta partners release just as much award space as any airlines though Delta itself lags behind. Delta miles are better than any other miles for Australia in business class and the west coast to Europe in economy or business. Delta miles are also good to Central America, South America, Africa, and Europe from anywhere else in the United States. At the moment, you have to book roundtrip awards with Delta miles, but starting January 1, 2015, you can book one way awards with Delta miles. Here are my top choices to burn 160k, 140k, 125k, 92.5k, 60k, and 25k SkyMiles and the products I most want to book when one way awards are possible in less than two weeks. To earn Delta status, you need to fly a certain number of miles or segments on Delta flights AND pay a certain amount for those tickets. Next year, those dollar requirements are rising. But as the bottom of the chart notes, spending $25,000 on a Delta co-branded card in a calendar year waives the Medallion Qualifying Dollars requirement, leaving just the miles or segments flown requirement. For people who fly a lot of cheap flights, the ability to spend a little over $2,000 per month on their Delta card to waive Delta’s expensive MQD requirement is welcome. 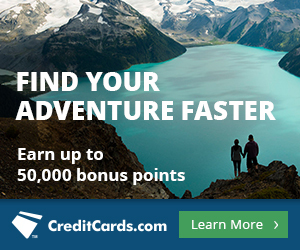 American Express recently changed its rules, so that you can only get the bonus on personal cards once in your lifetime, so if you’ve ever gotten the sign up bonus on the Gold SkyMiles card like I have, this offer is of no use. This is a solid offer, but not as valuable as 50,000 American Airlines miles or US Airways miles because of the difficulty of finding Delta award space and its inflated award chart. The listed expiration date of this offer is December 21, 2014. Previous article25% Discount on Purchasing Starpoints. Good deal? So if i signed up for the Premier Rewards card would I be disqualified for applying for this Gold Skymiles card since it would be my second personal card from American Express? No. You are limited to the bonus on each card once. You can get each card’s bonus.